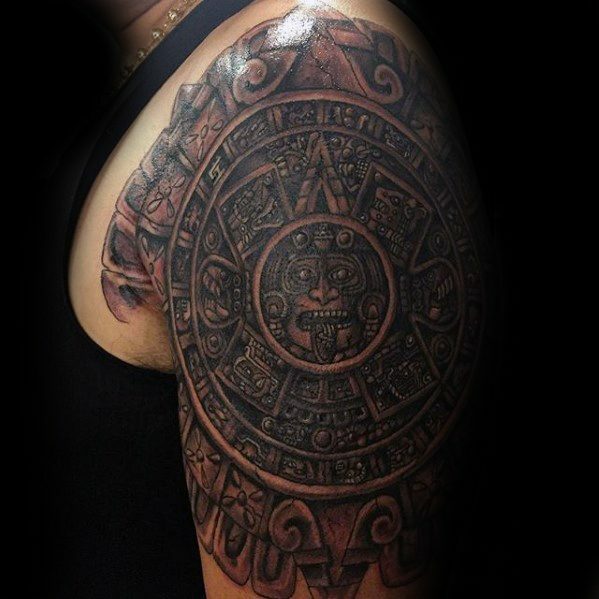 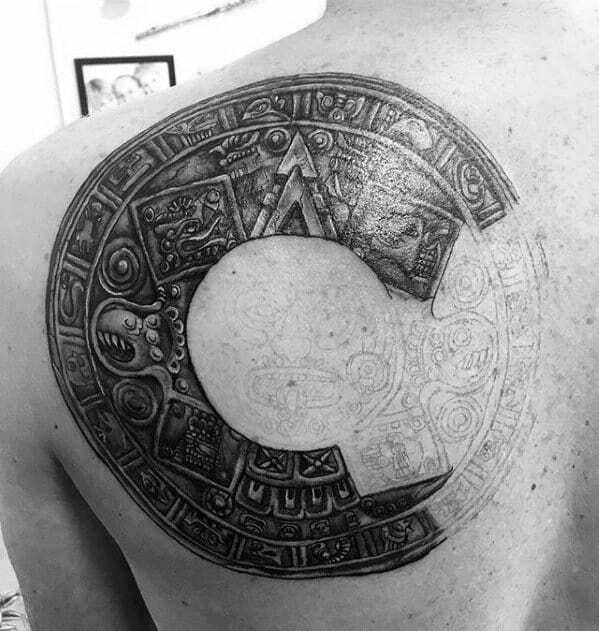 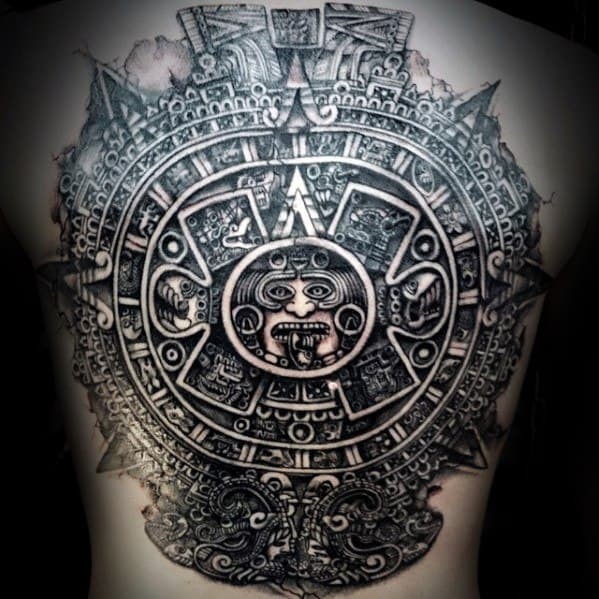 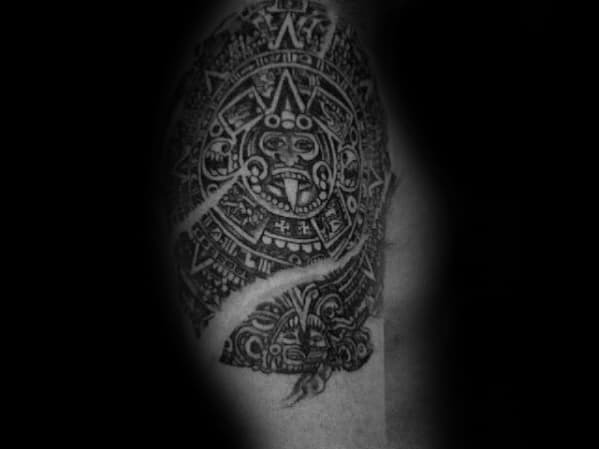 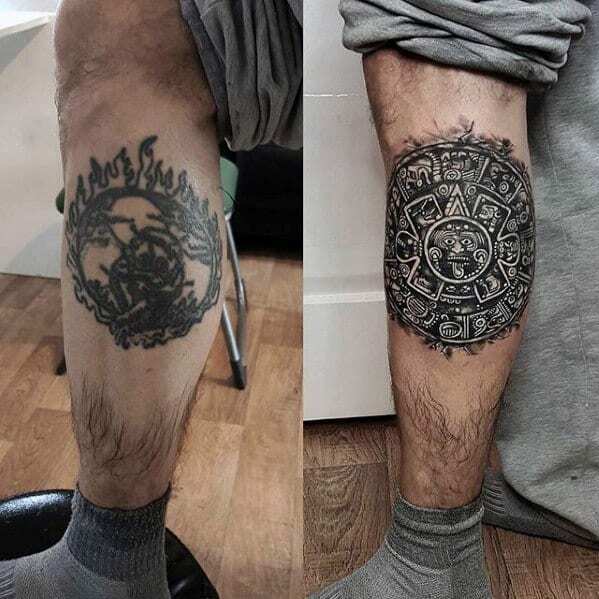 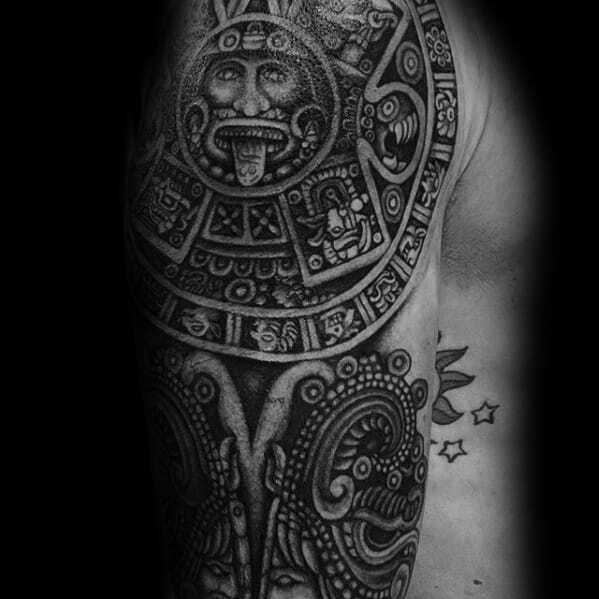 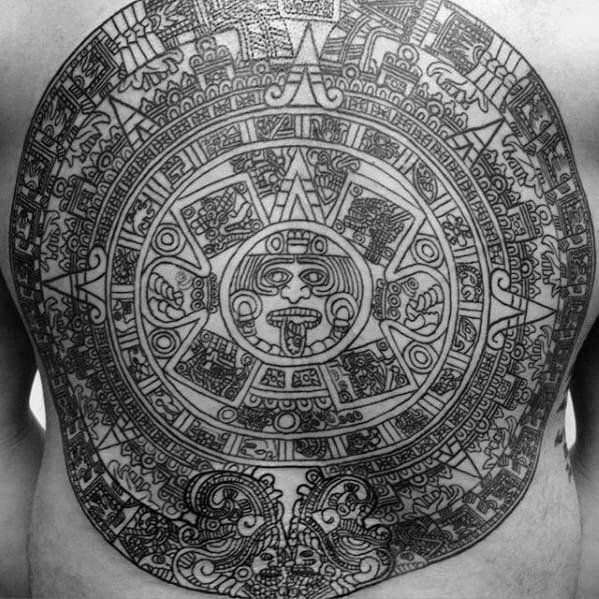 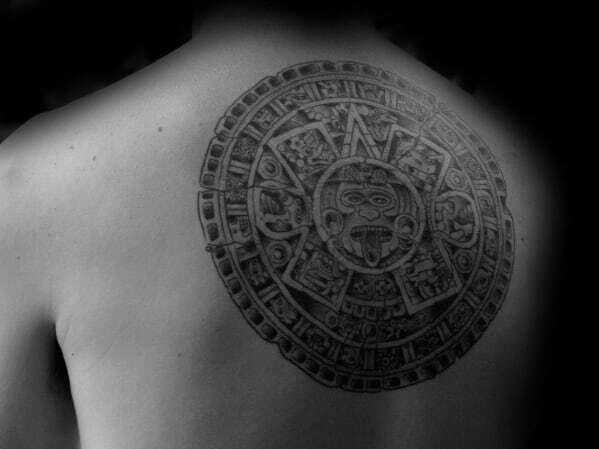 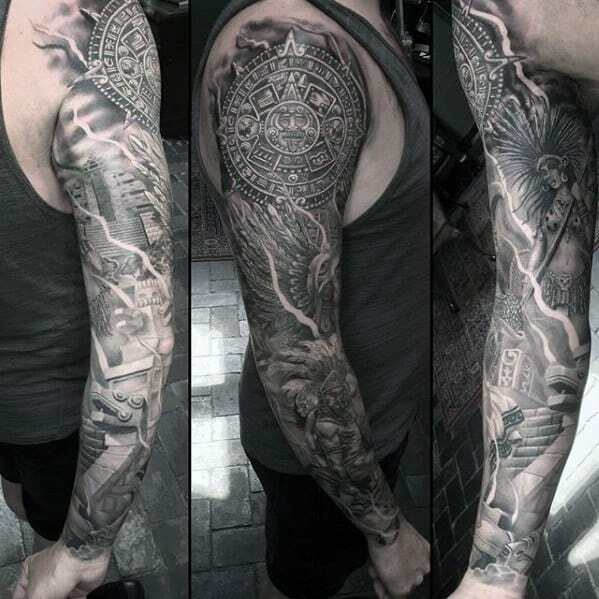 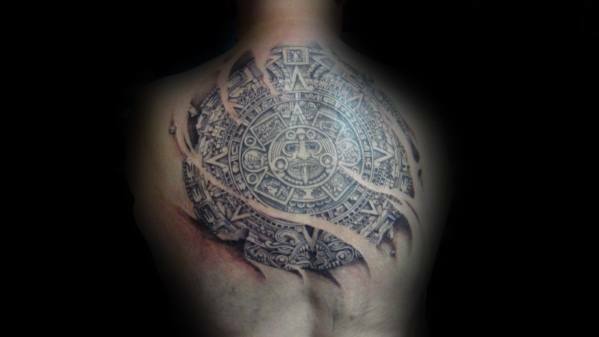 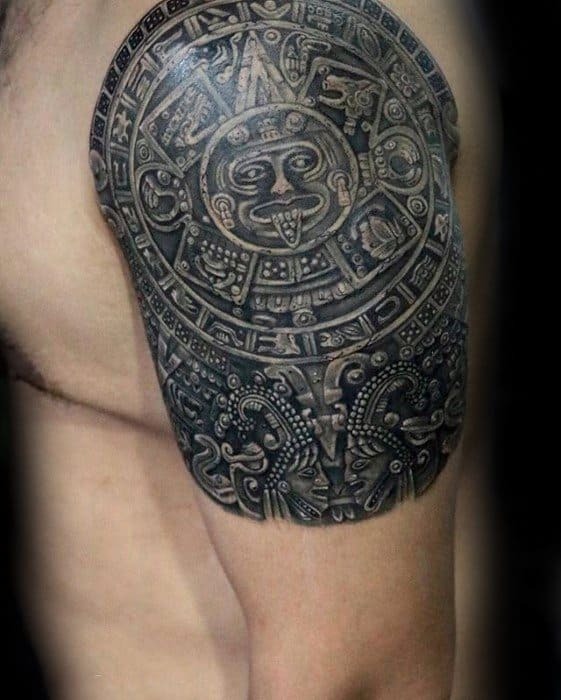 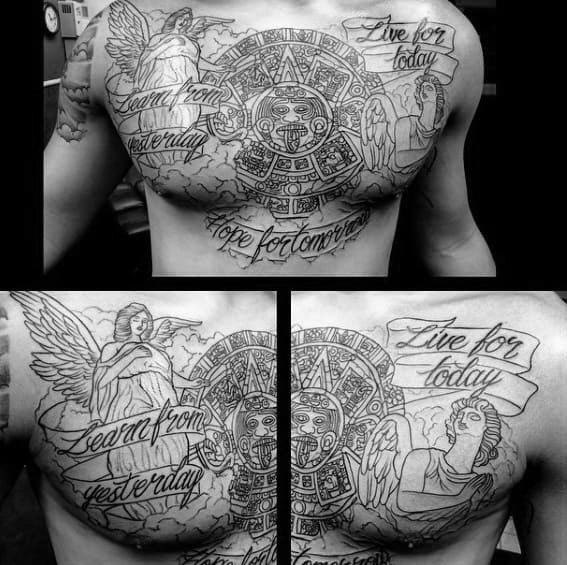 The Mayan calendar is one of the most intricate and complex inventions of humankind, which makes it an equally challenging–but infinitely rewarding–inspiration for a tattoo design. 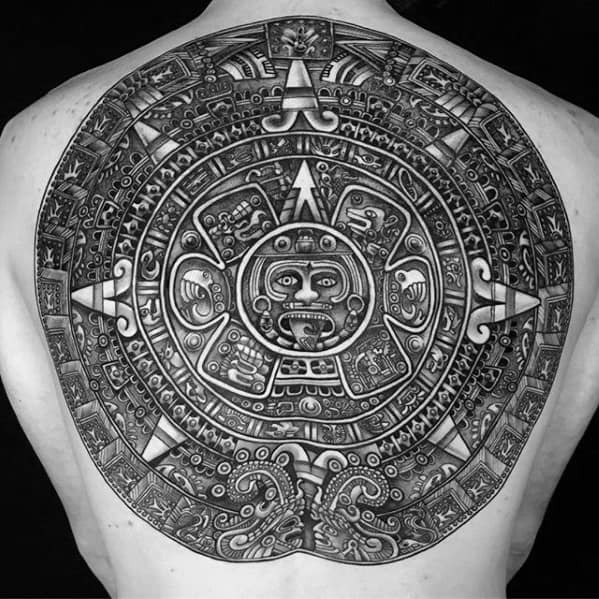 The Mayan calendar is separated into three cycles: the Tzolkin, with a duration of 260 days, the Haab, with 360 days plus five days “out of time,” and the Long Count, which is indicated by the number of days since the beginning of the Maya. 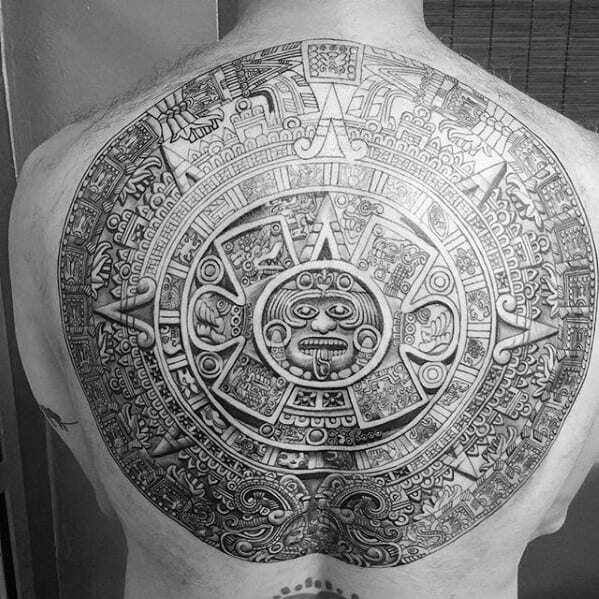 In modern times, the Mayan calendar has taken on a slightly sinister glamour for it’s presumed ability to predict the end of the world. 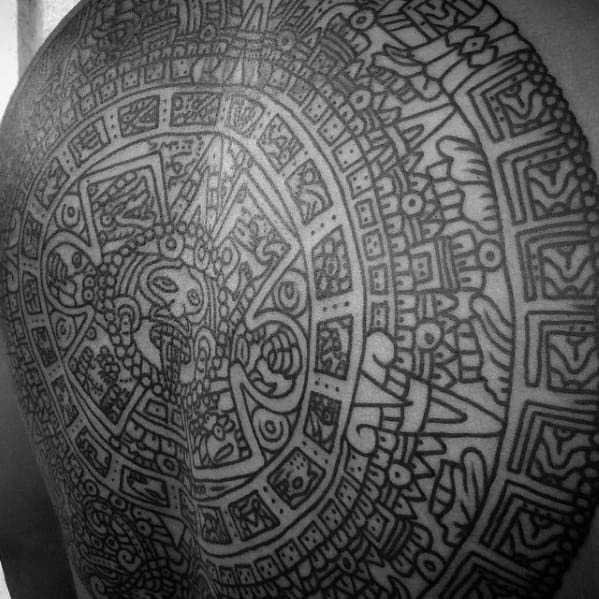 Requiring a painstaking skill for detail and hyper deft hand, the Mayan calendar tattoo is an exemplary work of art that will not go unnoticed by one’s peers. 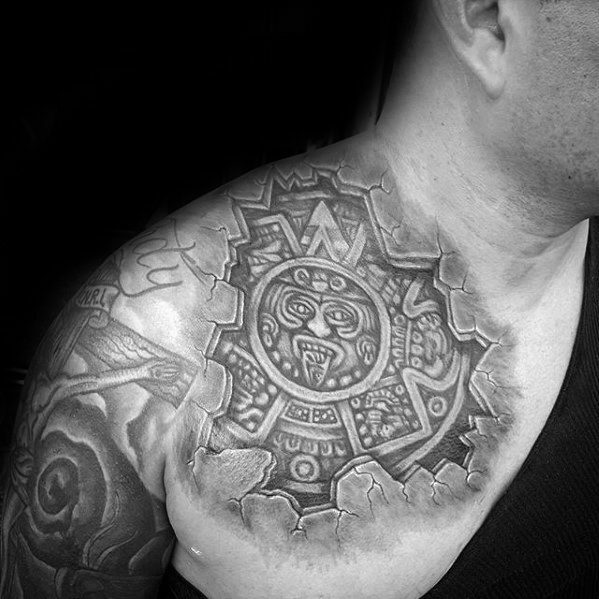 Inked in bold colors or black & white, it’s best to devote a fair amount of skin–the back, torso, or upper chest–to such an epic tattoo. 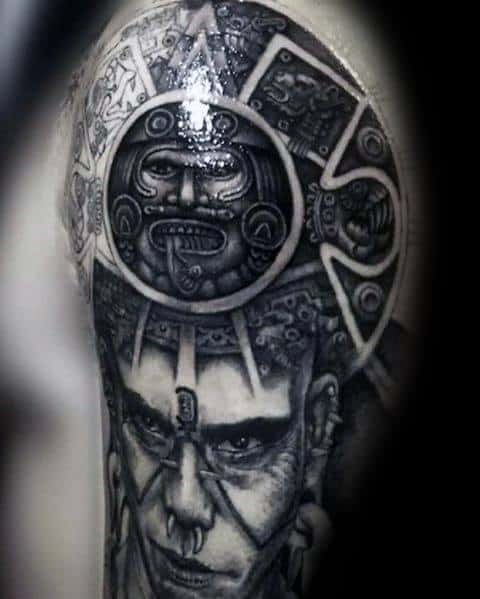 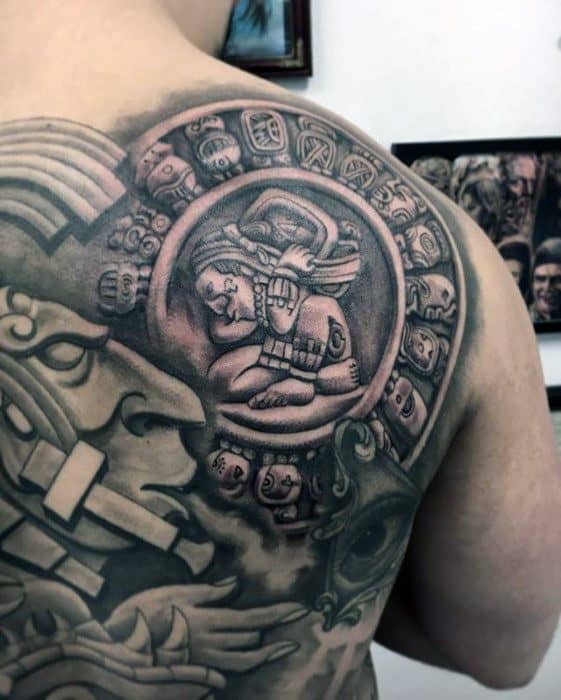 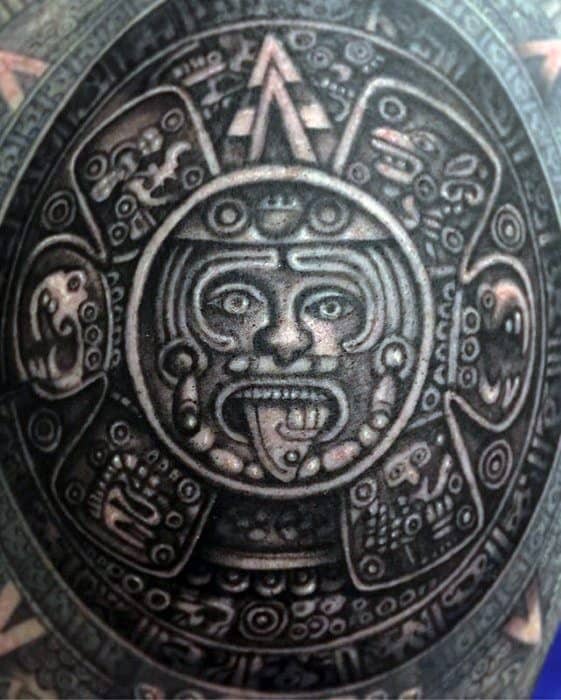 It’s worth noting that the Maya made full use of tattoos to celebrate and likewise mar individuals for life; priests and warriors were covered in sacred totems, while thieves and captives were branded with eternal curses. 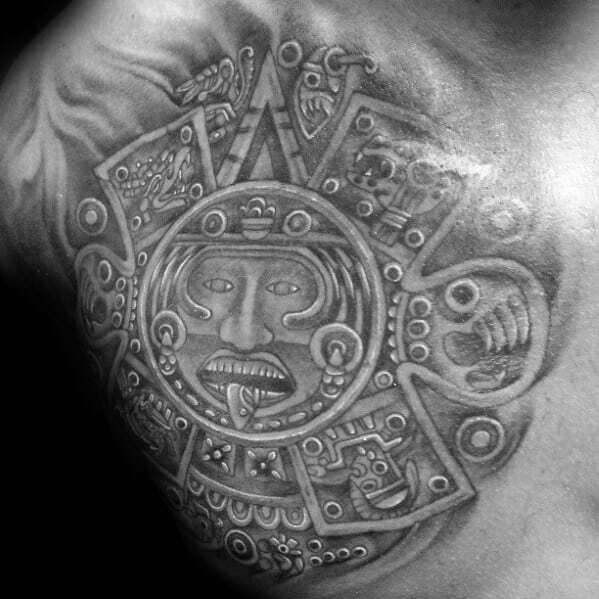 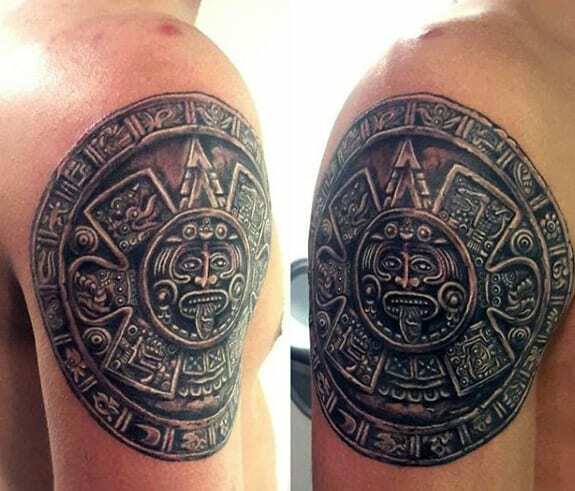 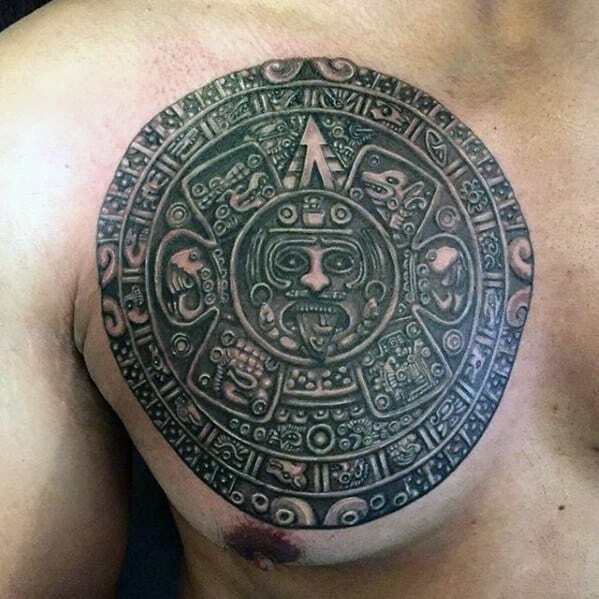 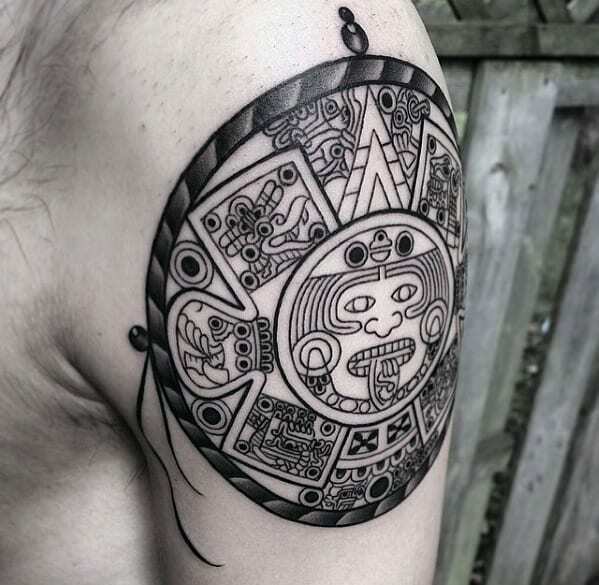 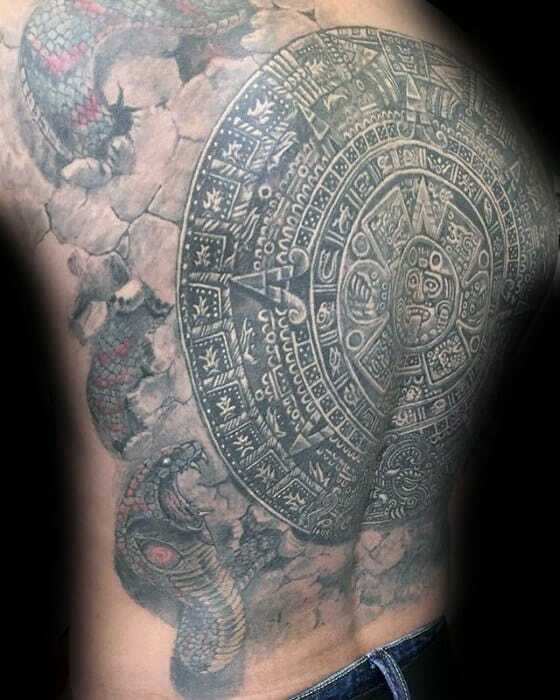 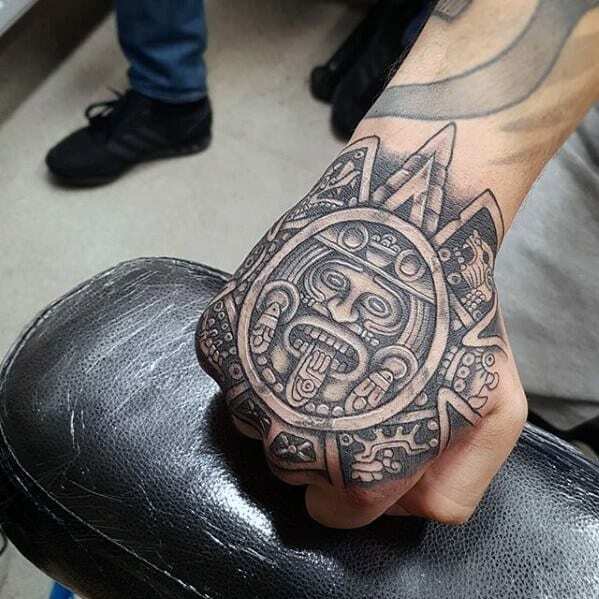 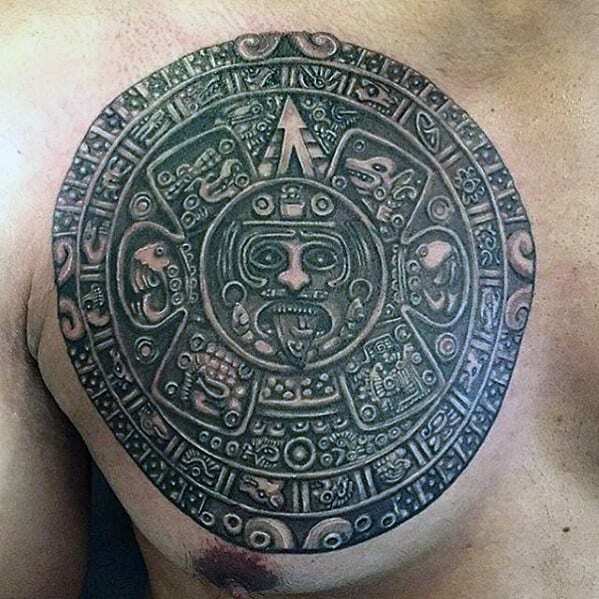 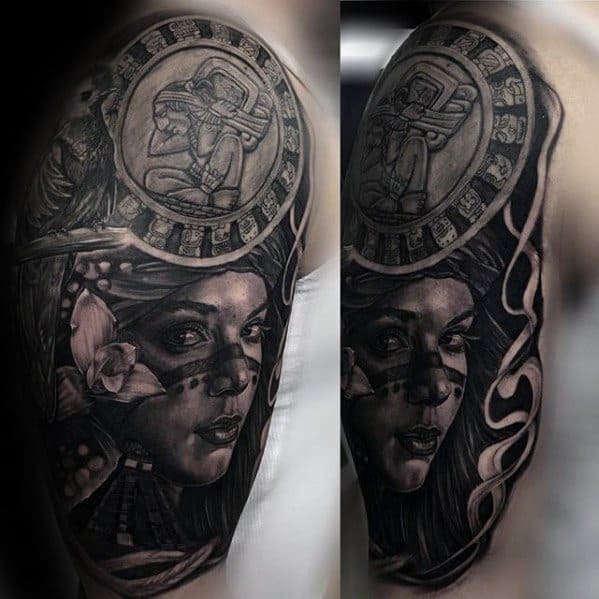 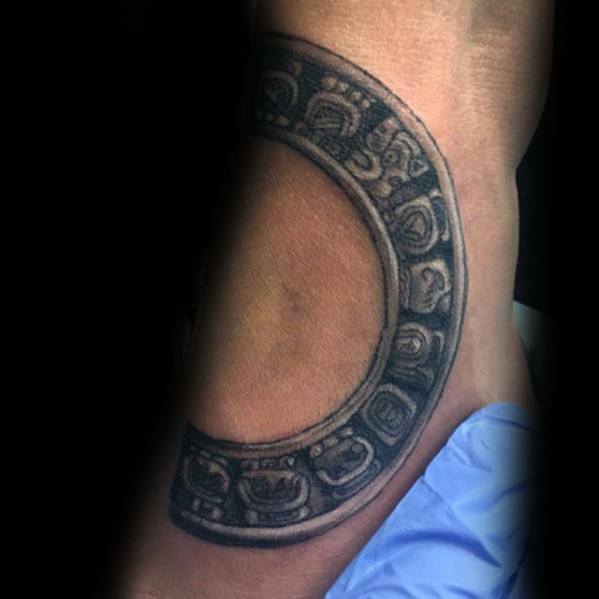 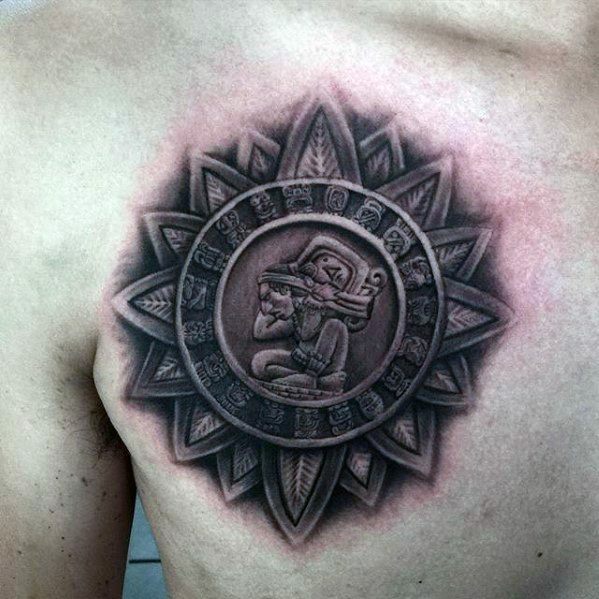 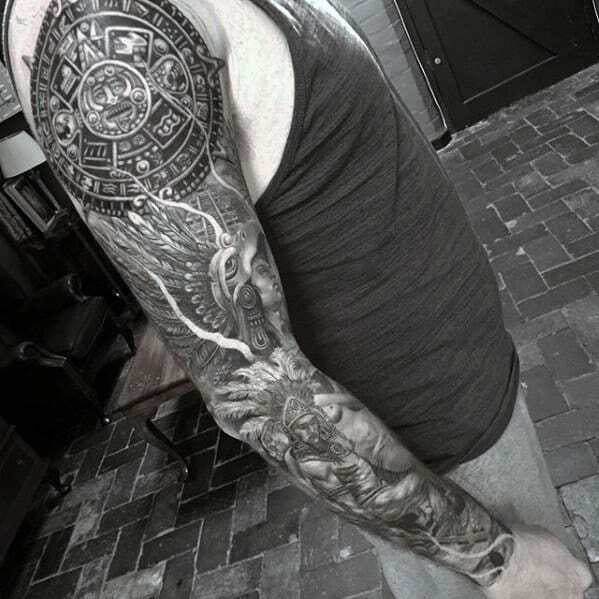 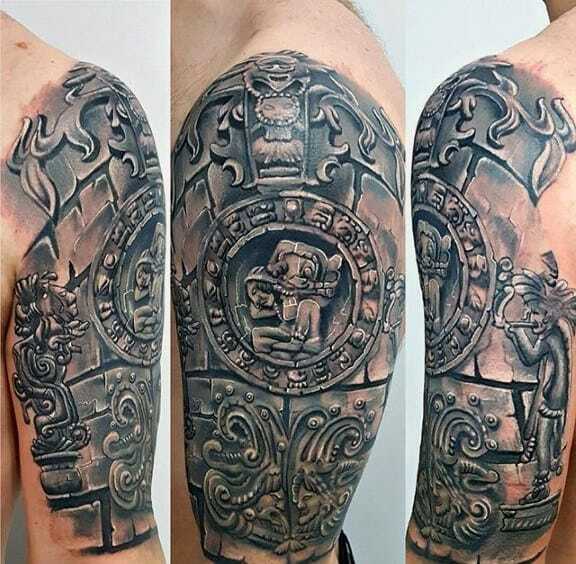 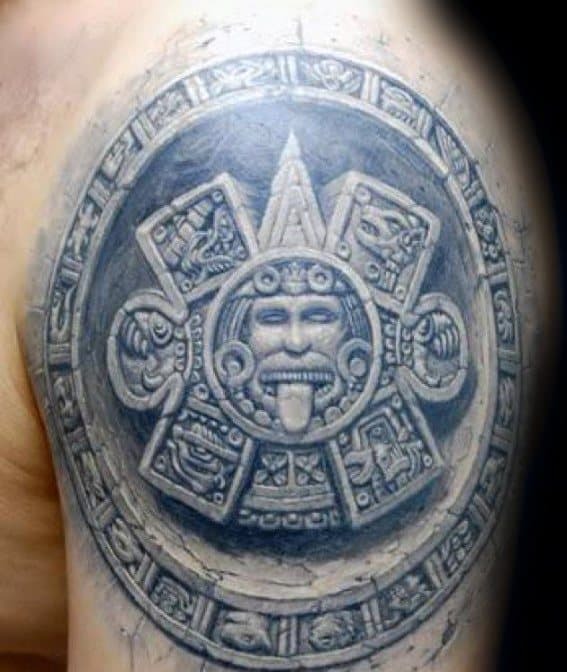 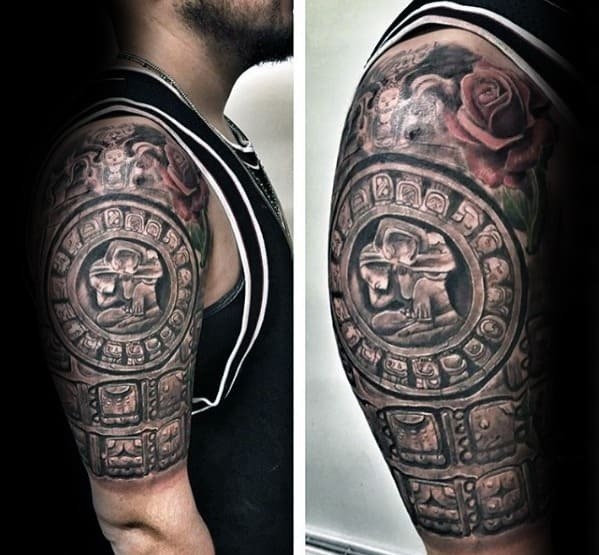 Acting as a symbol of both mystical knowledge and pride for a culture that was as fierce as it was genius, the Mayan calendar is a tattoo made for the man who would have surely earned the awe and respect of its namesake people.